It was firstly built for the Sheikh ul-Islam Civizade Sheikh Mehmet Efendi of Sultan Murat III period (1574-1595). Ruined in time, Kalburcu (sifter) Mehmet Efendi had this masjid re-built. It is for this reason that the masjid is also known as Kalburcu Mehmet Pasha Mosque. The mosque built twice, ruined entirely in time, and only its fairly long minaret, whose plinth was of stone and whose body was of bricks remained like a column although the upper part of it collapsed above its balcony, and the lot of the masjid was invaded by the squatters. 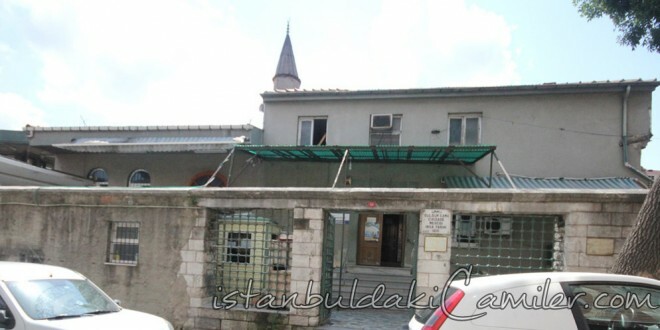 Benefactor Haci Mehmet Ali Kaya of Kastamonu had it rebuilt for the third time from reinforced concrete by cleaning the squatters away from the lot of the masjid. Its minaret has been preserved as it was and last congregation and ladies’ sections were added. The grave of the fırst benefactor, Sheikh ul-lslam Civizade Sheikh Mehmet Efendi who passed away in the year 1587, is in the district of Eyup.